We are a leading Manufacturer and Exporter of a premium range of Polypropylene Woven Circular Sacks, Bags, Fabrics Allied Products. We were one of the first in the country to venture into this area. Over a period of time we have garnered enough expertise to leverage our position as one of the most distinguished manufacturers of the product genre. High quality and product innovation have given us the leverage to consolidate our position in the industry. 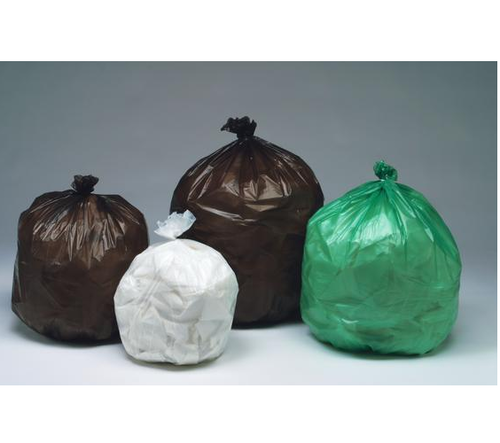 Our product range comprises PP Woven Bag With Liner, PP Woven Bag Without Liner, PP Laminated Bag With Anti Skid Effect, PP Laminated Bag, PP Laminated Bag With Matt Finish, Uncoated Valve Bag, PP Valve Bag, PP Sand Bag With Tie, PP Air Stripe Bag, Polypropylene Gusseted Bags, PP Post / Courier Bag With Rope In Hemming, PP Post / Courier Bag With Eyelets, PP Woven Uncoated Narrow Width Fabrics, PP Woven Coated Narrow Width Fabrics, Uncoated Fabrics With Heat Cut, Uncoated Fabrics With Ultrasonic Cut, PP Micro Perforated Bag, BOPP Bags, BOPP Laminated Bag, Coated Fabric, Corn Starch Bag, Courier Bags, Custom Polypropylene Bag, Flexible Packaging Bag, Garment Packaging Bag, HDPE Flat Bag, HDPE Laminated Bag, LDPE Pillow Bag, Laminated Bags, Moisture Barrier Bags and Narrow Fabric. Our product range offers solutions to the packaging requirements of divergent types of products. Our clients spread across industry verticals are satisfied with the application based products that offer critical solutions to their requirements. We have invested heavily in an advanced and integrated infrastructural facility that boasts of a cutting edge manufacturing unit, Research and Development center and quality control unit. All these units combine to bring forth a range that conforms to the highest and most sophisticated features found in the best in the category.